The purpose of this essay is to inform the general public about important events and depict the real forces which altered the course of history. In order to arrive at a more balanced perspective, I have referred to newly published source materials from both sides of the conflict. My essay differs from the old established “black-and-white” picture insofar that it attempts to describe what really happened. 1) The rising Pan-Slavism in Russia and in the smaller Slavic nations. 2) Britain’s unwillingness to meet the German industrial and commercial enterprises on the world market in free competition. 3) France seeking revenge for its lost war of 1870-71, which was started by Napoleon III but won by Prussia. Beginning in 1904, Germany was increasingly surrounded by a number of treaties directed against her. The alliance of France-Russia-Britain was well knit long before the spark was lit in Sarajevo. The Tripple Entente, being aware of their superiority, were very optimistic. For Austria-Germany it was a fight for survival, from the first day on. Austria-Germany had 6.1 million men in uniform, while the Triple Entente had 9.9 million men. Germany’s navy with 1.2 million tons was greatly outnumbered by the 3.3 million tons of Britain, France and Russia. In 1918, in good faith of Wilson’s “Fourteen Points,” (a propaganda ploy the Western Democracies had no intention of implementing) Germany laid down its arms. Brushing their promises aside, the victors proceeded in taking revenge for the fact that Germany had not been defeated on the battlefield. Taking into account that Poland had received so many minorities at Versailles, the dictators of the treaty felt somehow responsible and forced Poland against her vehement protests to sign a ‘minority protection act.’ As agreed, the League of Nations should have provided effective protection under this act, but failed to do so. The Poles sneered at all agreements. The effect of one single year of Polish brutality on the native population was devastating. There was a mass exodus of German speaking natives, many of them with Polish family names. Not being satisfied with the large area Poland had received at the Treaty of Versailles, they also wanted to take over the German colonies.2 Poland considered herself an equal of England and France. Sensible men like the English Premier Lloyd George and the French Marshall Foch realized the injustice which the Polish ‘corridor’ represented (dissecting Germany). But none of these warnings influence the League of Nations in any way. This assembly saw their raison d’etre solely in the execution of the dictate of Versailles. The League of Nations consistently denied Germany equal rights and rejected all six German disarmament recommendations during the period of 1932-35. As a result, Germany introduced military draft service and renounced the Versailles armament limitations on 16 March 1935. During the negotiations for the treaty of Versailles, the Poles demanded the use of the German City of Danzig. They claimed, that the Polish foreign trade could not function without the Danzig harbor. In 1920, Danzig was severed from the German Republic, cynically declared a ‘Free City’ and the harbor facilities handed over to Polish control. In spite of this, Poland enlarged the harbor of Polish Dgingen, thus diverting away 66% of the normal traffic from Danzig. To further bankrupt the economy of Danzig, Poland quadrupled the number of Polish custom personnel in Danzig still on the German payroll. The City of Danzig was forced to pay 3 million Guilders for a Polish ammunition dump which was built with the blessings of the ‘neutral’ League of Nations. The large territories which Poland had received in 1919 had only wetted her appetite. Constant cries for more German land were heard: from the schools and public media. Through ‘Land Reform’ Poland expropriated 750,000 hectares (1.85 million acres) of German land. Hitler’s consiliatory offers were laughed at and taken as a sign of weakness. 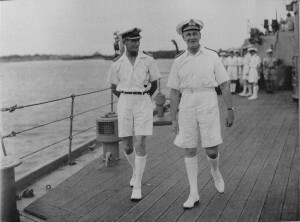 President Franklin D. Roosevelt declared in his New Year Message (4 January 1939) that the USA will act with: “…methods short of war.” He strengthened the war policy in London and Paris and urged the Poles through his special ambassador William Bullit: “Do not yield an inch!” A very strange attitude for an American president, whom the news media depicted as working toward peace. 23 March 1939. Poland had partially mobilized her army. Hitler reacted calmly in order to avoid driving the Poles into the hands of the British. He did not counter this provocation with a military counter-measure. Hitler refrained from supporting the Ukrainian freedom movement. On the diplomatic front Germany agreed on independent Czech and Polish states and supported neutral and Vatican efforts for peace. 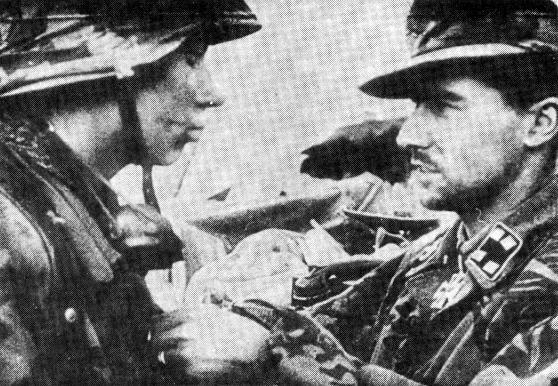 Germany sought an extension of the German-Polish non-aggression pact for an additional 25 years. 26 March 1939. Poland, through Ambassador Lipski rejected German proposals for negotiations and threatened war. 28 March 1939. The Polish army newspaper Polska Zbrijna in an article “We are prepared”: “…that the Poles, different to the Czechs, have no feeling of inferiority towards the powerful nations of the world, the number of foreign divisions does not frighten the Poles…” (Germany had fewer divisions at that time anyway). Poland totally mobilized without a protest from neither Britain nor France (29-30 August). Musolini proposed an international conference to be held on 5 September 1939. Colonel Beck, Poland’s Minister of Foreign Affairs, did not want any kind of negotiations. He feared that a compromise could have been reached with Hitler. And that England would have forced Poland to accept such a compromise. An extra-territorial road-and-rail link through the corridor. Internationally supervised elections in the ‘corridor’ within a year. Exchange of small pockets of population on an even basis as a result of such an election. Britain had approved of Poland’s general mobilization. Encouraged by England, France, and the United States, Poland ran the risk of war. Poland had instructed its ambassador in Berlin, Lipski, to ask for ‘talks,’ but under no circumstances should he enter into any realistic conversation. Lipski had no authority to negotiate. 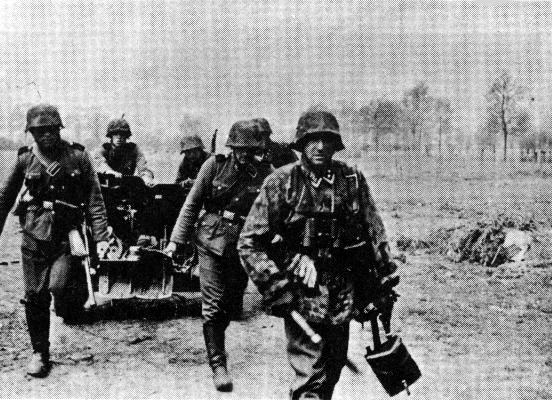 Waffen-SS anti-tank gunners of SS-Standarte “Germania” move their PaK in Holland, 13 May 1940. 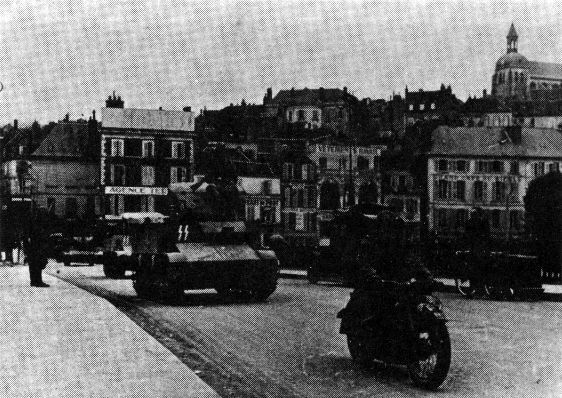 A column of vehicles from the SS “Totenkopf” Panzer Divison move through Joigny, France, 17 June 1940. At the late hour of 2115 hours, “Radio Germany” broadcasted the much publicized “Final Offer” for the last time. At 2300 hours “Radio Warsaw” answered by calling it an “insolent proposal,” it rejected any form of negotiations, sneered at the useless waiting by the “New Huns,” and declared that Poland’s answer can only be a military one! Hitler had swallowed all the humiliations he could possibly take (although some ‘historians’ have argued that he should have shown more patience). The following morning, German troops entered Poland. The Polish cavalry never made it across the border in the direction of Berlin, as they had so often threatened. The Polish Marshall Rydz-Smigly realized that the war would be lost and started negotiations at once. But the British Government declared immediately that this must never happen and repeated its determination to help Poland with all its powers. Germany continued her efforts toward peace. Dr. Fritz Hesse, the German Press Attaché in London, was given full authority to negotiate. He contacted Sir Horace Wilson in the Foreign Office, invited him to Berlin and presented the German proposals. Germany is willing to withdraw her troops. Germany will pay for damages. Both points under the condition that England accepts the role of negotiator and occupies the area to protect the German minority from Polish terror. The war was made possible by England’s cartel-blanche to Poland, by England’s rejection of Mussolini’s plan for an inter-national conference to be held on 5 September 1939 and by England’s rejection of all German efforts for an immediate cease-fire. Although there are rumours that English money supported the Polish terrorists before the outbreak of the War, Poland’s army never received as much as a single bullet from Britain. After the Polish campaign had ended, Hitler made another generous offer: to withdraw the German troops and hold internationally supervised elections in the German areas of Poland. This offer too, was rejected. It must be noted that when the Soviet Union invaded Poland on 17 September 1939 (as a result of the German-Russian Pact signed on 23 August 1939) England and France were mute on this annexation of Polish territory. Furthermore, Britain and France tolerated the Soviet attack on Finland on 30 November 1939 and the occupation of Estonia, Latvia, Lithuania, Bessarabia and Northern Bukovina in the year of 1940. In other words, even though Stalin occupied 450,000 square kilometres of land with a 21 million population by the end of June 1940, a declaration of war was not made by Britain. 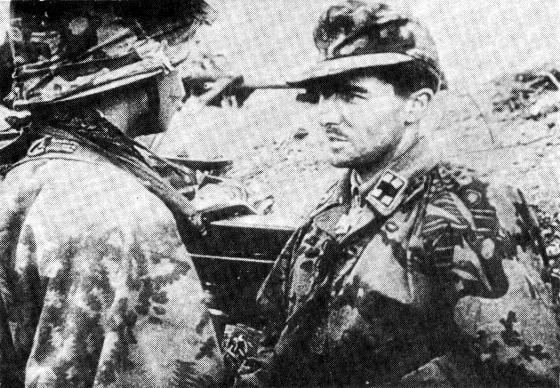 A Waffen-SS soldier is decorated at the front lines by his commander. (1) Max Schwarte: Geschichte des Weltkrieges. Berlin 1932; George Franz-Willing: Der Zweite Weltkrieg, Druffel-Verlag Leoni 1980. (2) Document on British Foreign Policy 1919-39, Vol. IV Document 189 and 306. (3) Francesco Nitte: The Decadence of Europe, Rycrson 1923, Toronto. (4) A.J.P. Taylor: The Origins of the Second World War, Hamish Hamilton, 1961. (6) Alfred Lueckenhaus: Von Draussen gesehen, Duesseldorf 1955. (7) Deutsches Weissbuch 1939 (German White Book). (9) Statistisches Bundesamt, Wiesbaden, Vertreibungsverluste, p. 285. (10) Seraphim, Maurach, Wolfrum: Ostwaerts der Oder-Neisse, p. 43. (11) Deutsches Weisbuch No. 2, p. 208. (12) British Blue Book, No. 105. (13) Michael Freund: “Weltgeschichte der Gegenwart in Documenten 1938-1939” Vol. Ill, p. 348, Freiburg 1954-56. (14) Deutsches Weisbuch No. 2, p. 208. (15) Document on British Foreign Policy 1919-39, Vol. VII, Ooc. 589. (16) Fritz Hesse: Das Vorspiel zum Kreige, Druffel-Verlag Leoni, 1979; Hitler and the English, London, 1954. History of World War II: Adolf Hitler Was Not Planning to Go to War against Britain and France? …On June 22, 1940, France surrendered. The French naval fleet was disarmed. However, no documents were signed ordering French warships to be transferred or handed over to the Germans. France promised only to suspend her war against Germany. 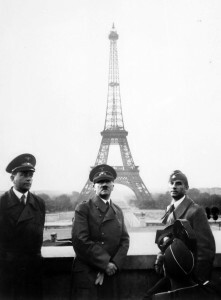 Nevertheless, was Hitler perhaps planning to seize France’s ships in some underhanded way? No, he definitely was not. Germany’s demands in victory were quite modest and did not even remotely resemble the outright mugging inflicted by the Allies at Versailles. That was because Adolf Hitler was never planning to go to war against Britain and France. And even now, after defeating the French, he was not really interested in looting as much as convincing those countries to join his cause, which eventually should have led to the long-awaited peace with Great Britain. Hitler had not planned any further war with the West. On the contrary, the Führer was prepared to sign a peace treaty with London. And the English would find the terms of that future peace deal to be quite acceptable. Hitler had no desire to strip the British bare or to deprive them of their position as the rulers of the world. 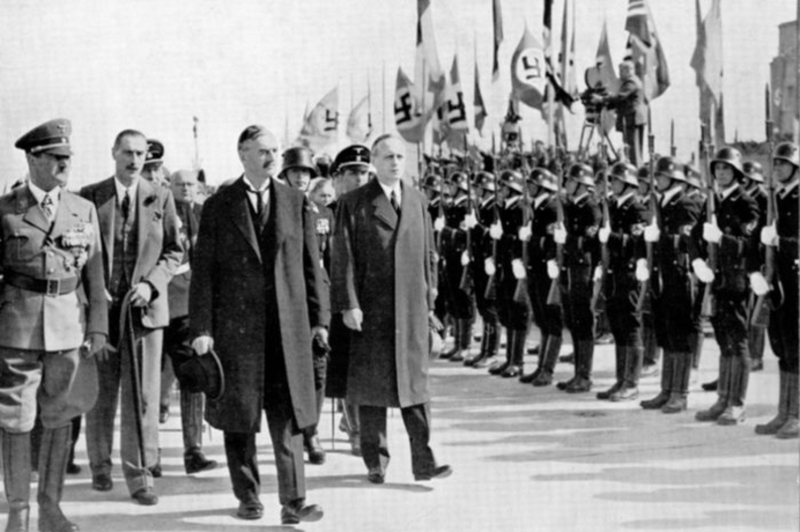 The Führer wanted to lay the foundation for an eternal German alliance with Britain. “So certain was he that the British would agree to this that even after the fall of France he made no plans for continuing the war against Britain,” writes William Shirer, an American journalist who worked inside the Third Reich. The idea that the German leader wanted to conquer Britain after his seizure of France is nothing but the product of the overexcited imagination of Western historians. Neither Hitler nor any of the highest commanders of the German armed forces were preparing to fight the British. On June 20, 1940, Admiral Raeder asked his Führer, “And now how about the British?” But he got no answer. Ten days later, the chief of the Wehrmacht Operations Staff, General Jodl, submitted a memorandum to Hitler, which declared that the war against England must be waged politically. Incidentally, Alfred Jodl, who was later hanged at Nuremberg, was responsible for strategic planning for the German army. 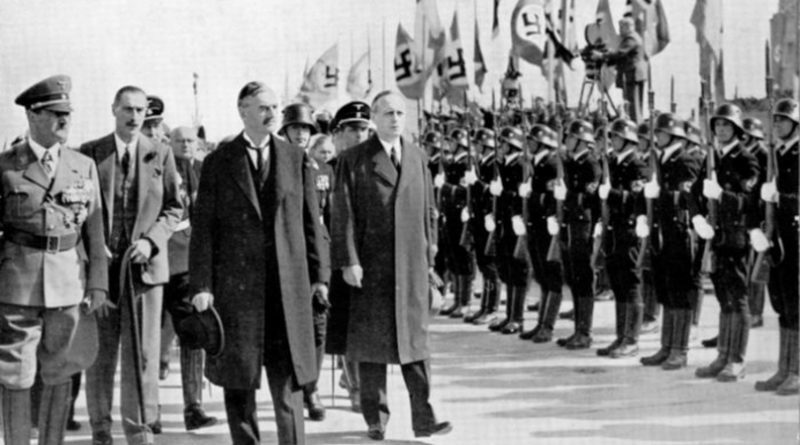 However, the idea of a peaceful end to the war against their protégé Adolf Hitler had no place in the British plans. In the summer of 1940, the tenets of the British policy were unchanged: billions of pounds had not been spent so that Nazi Germany could become an equal partner to the gentlemen in London. After all, the war with Russia/USSR had not yet been launched. Operation Catapult was drafted by the British in an unprecedentedly short period of time and launched only 11 days after the surrender of France. The irony of that situation lay in the fact that this time the British were attacking an ally, not an enemy. An ugly scene played out on the decks of the French warships docked in the English ports of Portsmouth, Plymouth, and Devonport. move the ships to the French West Indies or flood them within 6 hours. If Gensoul found none of these options acceptable, he could “disarm” right where his ships were moored, but only if he did so “effectively.” This meant that the French were being asked to wreck their own ships under British supervision. As the commander of a formation of the newest and most powerful ships in the French navy, and sitting in a home port, how would you have responded to such proposals, coming from yesterday’s “comrades-in-arms” no less? 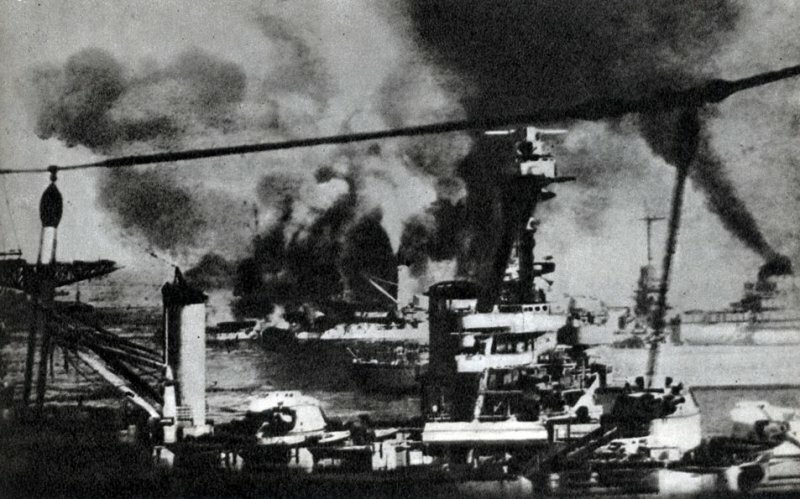 The battleship Bretagne, which was moored in Oran, took a direct hit in her magazine, exploded, and sank into the depths of the sea within minutes. The battleship Provence was severely damaged and beached herself; the battleship Dunkerque had little room to maneuver and ran aground. Although damaged by British torpedo bombers, the battle cruiser Strasbourg still managed to break through the English squadron, along with five destroyers and several submarines, to reach her native shores under fire. The British Admiralty could feel at ease: all the newest French battleships were now out of commission. The last of these, the Richelieu, moored in Dakar, was attacked by British torpedo bombers from the aircraft carrier HMS Hermes and badly damaged. Altogether about 1,300 Frenchmen were killed during Operation Catapult. In response to this betrayal, the French government severed diplomatic relations with England, without declaring war. The French squadron under fire from the English fleet, Mers-el-Kébir, July 3, 1940. 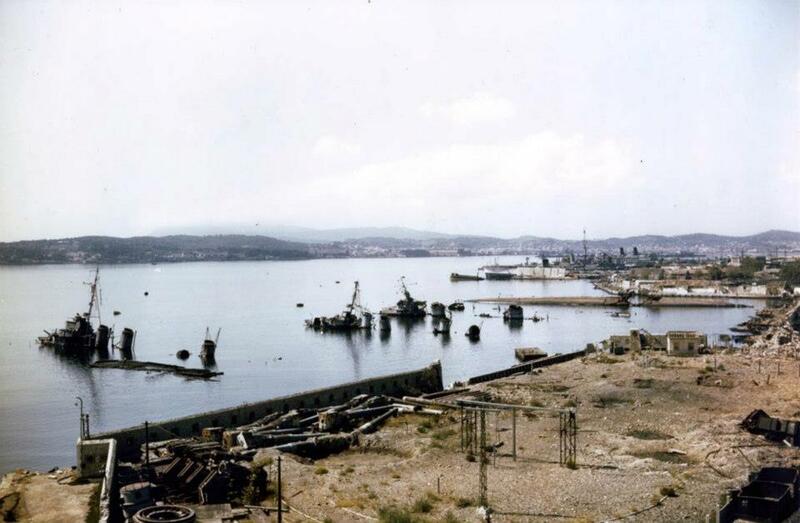 Major French Naval base Toulon, photo taken in 1944. Submerged hulls of VSS Tartu, Cassard, L’Indomptable, Vautour, Aigle, Condorcet are seen. ORIENTAL REVIEW publishes exclusive translations of the chapters from Nikolay Starikov’s documentary research ““Who Made Hitler Attack Stalin” (St.Petersburg, 2008). Mr. Starikov is Russian historian and civil activist. The original text was adapted and translated by ORIENTAL REVIEW. F. H. Hinsley. Hitler’s Strategy. Pg. 81. Joachim Ribbentrop. The Ribbentrop Memoirs. Pg. 141. William Shirer. The Rise and Fall of the Third Reich. Pg. 747. MacGregor Knox. Mussolini Unleashed, 1939-1941: Politics and Strategy in Fascist Italy’s Last War. Pg. 183. Winston Churchill. The Second World War. Their Finest Hour. Pg. 197. Winston Churchill. The Second World War. Their Finest Hour. Pg. 207. Charles de Gaulle. Mémoires de guerre. Pg. 110. The British had to hit the French fleet simultaneously in all ports, in order not to lose the element of surprise inherent in their vow to destroy the ships. David Thomas. Battles and Honours of the Royal Navy. Pg. 278. Brooke C. Stoddard. World in the Balance: The Perilous Months of June-October 1940. Pg. 74. Charles de Gaulle. Mémoires de guerre. Pg. 321. John Grehan. Churchill’s Secret Invasion : Britain’s First Large Scale Combined Operations Offensive 1942. Pg. 7. Shortly before this, the British and Americans had landed in Algiers, i.e., a French colony in Africa. Fiercely resisting the Anglo-Saxons at first, the French Admiral François Darlan later began cooperating with them. Thus Germany was forced to occupy the remainder of “free” France, in order to prevent a potential invasion by the British and Americans. Charles de Gaulle. Mémoires de guerre. Pg. 59.